is a city of 1.45 million people, the second largest municipality in Ukraine. Capital of Ukraine from 1921 to 1934, it remains a center of industry, culture, and higher edu-cation. Its industrial core is based on armaments and complex machinery, some of which has been sold in controversial arms deals to rogue states. Notwithstanding the relative sophistication of a portion of its economic base, however, the larger economy of Kharkiv and the surrounding area is floundering, a result of general Ukrainian economic conditions, poor governance, and a failure of local officials to embrace private business initiatives. Unemployment is high, and the general mood of Kharkiv residents appears sour. very visible throughout the city as they attend classes in universities and other institutions of higher education. Perhaps as many as 25,000 scientists are employed in Kharkiv’s universities and three national research institutes. The main building of Kharkiv National Medical University is seen at left. Established in 1805, it is considered one of the best medical schools in Ukraine. 52. The Jewish population of Kharkiv probably is between 15,000 and 30,000 according to the Israeli Law of Return, although the writer has heard both higher and lower estimates. Jews are prominent in almost every sphere of Kharkiv life, including government, business and industry, science and technology, education, and culture; most Jews openly identify as Jews and are friendly to Jewish organizations. However, as is the case in most post-Soviet large cities, only a small number of local Jews appear to find any existing Jewish institutions of interest to them. Participation in Jewish activity is low. 53. In common with its counterpart institutions in other cities, the Chabad Jewish day school (School #170) in Kharkiv continues to lose enrollment. Its census is now well under 300, including 30 girls in a machon and 30 boys in a yeshiva katana. (See below.) Grigory Shoichet, the veteran principal of the school, attributes the enrollment decline to emigration, falling Jewish birthrate, and transportation issues reflecting the relatively remote locations of the two buildings housing the school. (The preschool/lower grades and middle/upper grades are in separate structures in different districts of the city.) Pupils continue to do well in municipal competitions in mathematics, science, and literature, said Mr. Shoichet; he did not mention computer studies or English. 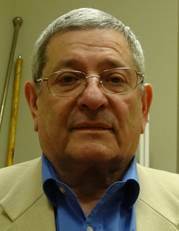 Grigory Shoichet is one of the veteran Jewish day school principals in the post-Soviet states. Well past normal retirement age, he presides over a school that is declining in enrollment due to Jewish demographic decline, difficult school transportation conditions, and inadequate financial support. The Jewish studies component of the school curriculum includes six to eight class hours weekly, about 40 percent in Hebrew language instruction and the remainder in Jewish tradition and Jewish history. Additionally, Jewish content is significant in both art and music classes. School #170 does not have a conventional gymnasium or sports hall. Mr. Shoichet, a former national boxing champion of Ukraine, teaches boxing to boys and karate to girls in a small multipurpose space that requires substantial renovation and repair. The school offers a few other sports on a limited basis, sometimes renting more conventional sports facilities in a nearby university. A new art gallery on Jewish themes featuring works by local artists has opened in the school, Mr. Shoichet stated, attempting to put a positive spin on additional space made available by declining enrollment. The school previously had converted several classrooms into museums on Jewish history and the Holocaust in Ukraine, synagogue architecture, and other Jewish themes. Recognizing that many pupils come from homes in which caregivers work long hours, School #170 offers a limited afterschool program that includes computer and game room activity. The last bus leaves the school at 5:00 p.m., delivering some children to their homes at 6:30 or 7:00 p.m. Notwithstanding Mr. Shoichet's personal efforts to engage pupils in general fitness and sports activities, many youngsters at the school are in poor health, Mr. Shoichet said. Available medical care is of poor quality, and families cannot afford to purchase medicines that children may need, he continued. Few families can afford to take vacations, so only a small number of youngsters ever escape urban ills even for short periods of time, stated Mr. Shoichet. 54. Rabbi Levi Raices directs a yeshiva katana that enrolls 30 local boys in fifth through eleventh grades. Most of the youngsters are from poor families, whose caregivers appreciate the longer school day and free or heavily subsidized meals and transportation that are part of yeshiva katana life, said Rabbi Raices. The yeshiva meets in a former synagogue that has been remodeled to meet the needs of a school; it includes dormitory rooms, but Rabbi Raices stated, no boys currently live at the yeshiva. Secular studies, responded Rabbi Raices to a question, account for 60 to 65 percent of the curriculum. 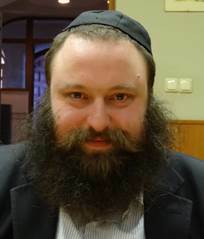 Rabbi Levi Raices, a native of New York, directs several Chabad education programs in Kharkiv. Food is brought to the yeshiva katana from the Chabad lower school building. However, noted Rabbi Raices, boys in the yeshiva prepared Chanukah latkes themselves and invited their parents to the synagogue/school for a Chanukah party. Asked about further education after completion of the yeshiva katana, Rabbi Raices said that some boys drop out of the yeshiva at age 15 to enter the Na'aleh high school in Israel programs. Various Na'aleh religious schools, not only those under Chabad auspices, recruit them, he noted. Others go to Israel after they complete the yeshiva katana, and still others enter post-secondary institutions of higher education in Kharkiv. A few go to a Chabad yeshiva in Moscow. Rabbi Raices also directs the STARS education program for Kharkiv Jewish young adults. About 60 young Jews currently are enrolled, he said. 55. Located in modern classrooms in the basement of the Kharkiv Choral synagogue, a machon for girls also enrolls 30 pupils in grades five through eleven. Enrollment during the previous academic year (2011-2012) was 40, said director Miriam Yakimenko. The fifth and tenth grade classes have only two girls each, she continued. The machon curriculum includes all secular subjects commonly taught in Ukrainian schools, Ms. Yakimenko said, although girls must go to the regular day school for science laboratory and computer classes. The Jewish component of the curriculum includes nine weekly classes in various Jewish subjects, including Hebrew. The machon might offer additional Jewish studies, said Ms. Yakimenko, but parents clearly "are afraid" of "too much religion" and "too much praying." The appeal of the machon to non-observant families, Ms. Yakimenko stated, is three daily meals for their daughters, bus transportation to and from school, small classes, and dedicated teachers. The quality of instruction is high, as is evident from pupil success in city-wide academic competitions. Some parents pay a modest monthly tuition of about $12.00. 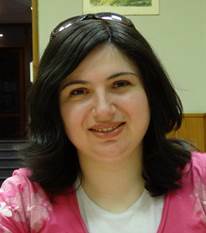 Principal of the Kharkiv machon, Miriam Yakimenko actually is a graduate of School #170, the Chabad day school in the city.